Last year my ‘photo project’ was The Daily Snap where I posted one photo per day taken with a digital point-n-shoot camera (mostly my Canon G11). The exercise was intended to keep me practicing photography on a daily basis to help keep my eye ‘tuned’. I also wanted to show that great photos could be made with any kind of camera. It’s not the gear… well, you know the rest. This year I am partnering up with my gal and creative partner, Samantha Chrysanthou to present our mutual project, Fabulous Film Fridays. 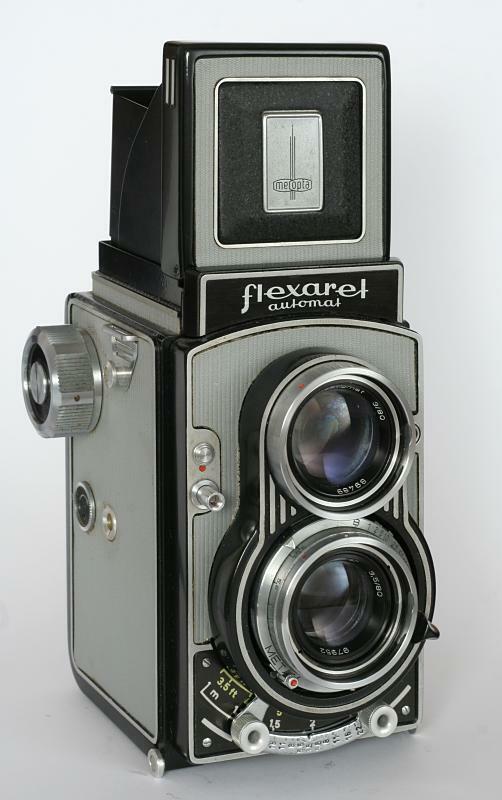 Every Friday for the next year we will be posting shots we have taken with film cameras–remember film? Between the two of us we still have 8 film cameras (4 each) and we plan to dust these off and make new photos during 2011. Samantha has two Nikon 35mm film cameras (an FE and an F70), an orange Holga named Beep and a beautiful 4×5 view camera named Tachihara Tim by her brother Andy. Go here to read Sam’s interview with me about this project. Let’s let Sam explain in her own words why she was keen to be part of the project. Darwin: Why are you excited to be making new images with film? Samantha: Well, even though I’m a relatively recent convert to photography, (I started shooting seriously about five years ago) I always had some kind of film camera to play with when growing up. I’ve always been attracted to the physicality of the film camera. When I traveled in Europe, my camera was the little FE. I loved the process of loading the film, hearing the cogs turn as you wind, and the satisfying metallic click when you press the shutter. The heft to some film cameras is also wonderful. Although the magic of exposing film still occurs out of sight, the film camera itself is all about a very mechanical and visual process. Think about my 4×5, Tachihara Tim: its parts are all clearly visible! Digital cameras are like a black hole — everything happens along circuits out of sight in the guts of the camera. How romantic is that? Darwin: Leave it to a woman to base her decisions on romance! Sam: Who cried at the end of Happy Feet? I agree with you in part. Although it’s not very romantic when I’m swearing and scratching my head when I get my film back. But it really is more about the mechanical process. I like to paint and draw. When I pick up a pencil, I can scratch a mark on clean, white paper. I am directly involved in the creation of my art because of the physicality of the tool used. For me, old film cameras are like that. I am an intrinsic part of a mechanical process that leads to a creation. It’s very satisfying. Pressing a button on a digital camera is just not as involved nor as rewarding, somehow. Darwin: What about the convenience and control of digital? Samantha: Oh, that is not to be underestimated! But I think of my photo business when I think of digital. I don’t think first and foremost of a thoughtful, artistic process. Using a film camera forces you to think more and slow down. It also forces you to be organized and methodical, especially if you want to learn and improve. When you are more present in the creation of art, I think you have a chance to make greater art. Digital cameras make us lazy artists, sometimes. Darwin: Tackling a 4×5 view camera seems like a daunting task, why bother? Samantha: I have a Holga (named Beep) and the large format camera. Can you get more extreme than that? The Holga is fun and a bit hit or miss. I’ve found out it has light leaks that I’m not sure I like that yet. Holga is play-time. The 4×5 is all about meditation. From the moment I open it up, I’m in love with its gorgeous cherry wood and brass fittings. It is a work of art in and of itself! What a great way to start thinking about creating a photograph. So, while I bought the 4×5 partly because of its inherent aesthetics, I also wanted to learn more about the fundamentals of photography with a very mechanical tool. Tachahara Tim is like my FE’s grandpa. With time and patience, I’ll ‘hear’ many stories. Hopefully some of them will turn out! Samantha: Well, Fabulous Film Wednesdays just doesn’t sound as good. My Mom’s an English teacher, and she’d probably vote for Fridays over Wednesdays, too. Darwin: Good point. Well, it sounds like you’ll have a fun year ahead of you. Samantha: I hope so! Otherwise maybe we can make a few bucks selling 8 useless cameras. By the way, Beep is red, not orange. Darwin: Red? That baby is definitely orange. Samantha: You photoshopped it that way. But it is definitely more red than orange. Darwin: Uh-oh, our first argument! Samantha: Can the owner call the colour? Or maybe we should take a poll. But it is hard to tell in the portrait above. Darwin: We’ll have to use the image below. Red or orange, everyone! This entry was posted on December 31, 2010 at 12:31 PM and is filed under Art of Photography, Artistic Development, Fabulous Film Fridays, Inspirations, Instruction, Photography Gear, Techniques with tags 4x5 view camera, Black-n-White Photography, Darwin Wiggett, film photography, fine art photography, Holga, intimate landscapes, landscape photography, nature photography, Samantha Chrysanthou. You can follow any responses to this entry through the RSS 2.0 feed. You can leave a response, or trackback from your own site. Red!! Absolutely without a doubt! Well without a PS doubt that is!! I think it matches her poofy jacket, does it not? I have never shot film before so I’m looking forward to seeing what you come up with and how you do it. I agree with everything Samantha said. Well, don’t know about the colour but its definitely a Holga ! Sam put my feelings into words, regarding the film/digital debate, better than I ever could. I agree with her, 100% that digital has made me a much lazier photographer. I can’t say I ever enjoyed the darkroom; this is where the real boon to digital is, for me. Besides, you can edit once and print a thousand time, if you want to, instead of manipulating each print every single time. Good luck! I look forward to seeing these analog wonders. Dear Sam. I spent over 2 decades toiling in the darkroom and much prefer the lightroom now. That said, my favourite film camera was a 4×5 Master Technika purchased used. I did try a wooden Wisner 4×5 for a while but was seduced by the German precision engineering of the Tecknika. She was a bit neglected when I first laid eyes on her. I spent the first week taking her all apart (can’t do that with digital cameras). I carefully removed any corrosion and lovingly restoring the pig skin bellows (with a thin film of Vaseline rubbed-in, between thumb and forefinger). After she was restored the salesman who sold her to me thought he should have charged me more! By the way Darwin, for less that the price of one of your “limited” tilt-shift lens you can own a 4×5 view camera where every lens tilts, shifts, rises and falls for truly full control of the plane of focus :o). I regret getting rid of my Master Technika she was a real beauty. Now I should probably go scan some of those 4×5 Tri-x B&W negatives. Wishing you all the best for an analogue 2011 Sam and Darwin! Looking forward to see the shots! Do you develop the films yourself? Red, for sure Darwin. No where near the color of Sam’s POC! Should us guys stick together?? John?? John?? Red for sure. Looking forward to the images. I also have fond memories of the darkroom. Good luck Darwin and Sam!!! Looking forward to following this project,what a great idea. I love old film cameras and still have one kicking around here somewhere too. Maybe I should pull it out too. I’m old enough to be a veteran film guy but really became enthusiastic with photography when I bought my first Coolpix 10 years ago. About five years ago I started shooting some B&W film with a Nikon FM and it’s escalated from there. (Was always facinated with tech talk in the film forums and the alchemy involved) Though I still use digital I much prefer to take out my old M3 double stroke, 50mm lens. I often use tri-x and learned how to soup it at home. I don’t make my living from photography so such an unpractical apporach works for me and makes me feel very much connected to the image. For what it’s worth. We plan to soup our own Tri-x this year too. Should be good fun. From my conversations with many older photographers, most if not all say that they are glad to have left the film days behind. Digital is a natural progressive stage in photography. there is nothing to gain by photographing with film cameras. How will you show us your photographs with film? Film is dead – the last lab in the U.S. that processed Kodachrome has just closed. Fuji-chrome will be gone within a year or two. You still need to be a good photographer even in the Digital age , as you have proven over the past year. No chemicals to pollute our waterways. No garbage littering our landscapes. The ability to capture thousands of photographs for a minimum of cost. Allows most amateurs to compete with the pros. I could go on , but I think I have made my point. Photography was going to kill painting – it never did. I think film will be around for much longer than you suggest as many people return to it for various personal reasons. Choice is good, I mostly use digital for my business, but this film project is for me as an artist. For art I can use any tool I want. Digital Photography is likely more hard on the environment than film photography (new cameras every 18 months, new computers every 2 years, tons of new photo accessories and gizmos made and millions more people shooting than ever all traveling to places to get trophy shots). Likely if you could measure the impact that photography has now, digital photography may not look as green as you make it out to be. anyway use whatever tool you prefer and have fun, that is really what photography is about. There is no right or wrong only personal preferences. Where do you plan to get your developing done? Sounds like a really fun project! I can’t wait to see what you guys come up with! It is clear, isn’t it ?